Sam King interviews painter Mark Lewis. Referring to his earlier still life paintings Lewis comments: "I’ve always thought of the tabletops as stage sets (but not in an obvious way) and now I think of the streets as stage sets too—a place where I enjoy observing daily life... I like to discover places to paint. I like to be stimulated by something that I have seen as a starting point for a work. 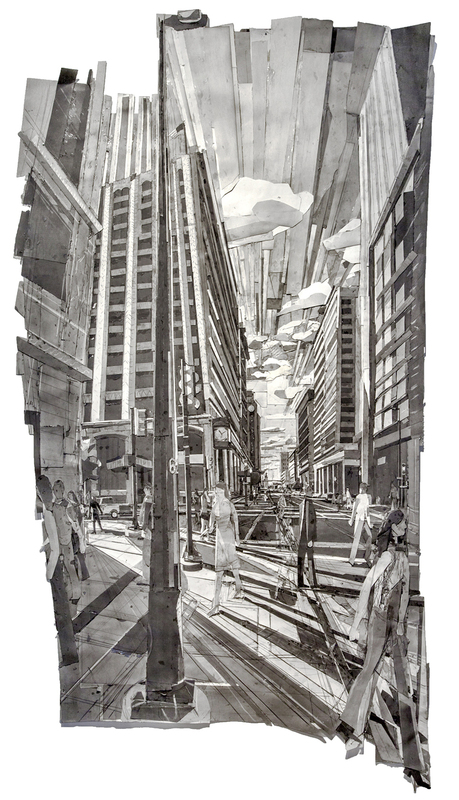 It’s not practical to make the large graphite drawings/collages outdoors but I prefer the experience of being on site."